Lucifer has unleashed a season that is starting off with an epic-sized bang of imaginative grandiose storytelling. If the rest of the season can keep matching these first two episodes then there is no limit to where this show can go this season. Early on in the first season, the writing was good, but it didn’t feel as tight as it could have been. This season, on the other hand, is delivering very tightly written and beautifully articulated stories picking up exactly where last season left off and expanding on it in major ways. This show was brilliant in its first season, but I think the writers have been given far more freedom to delve into the mythology of the series this year and the route they are going with this story is quite brilliant. The addition of Lucifer’s mom is going to be a great catalyst for the series to continue to expand. With her arrival and the constant mention of God, I’m still hoping he’ll take human form one day and come pay his wayward family a little visit. Speaking of that wayward family, it would appear as though He is out to teach all of them some sort of less or another. 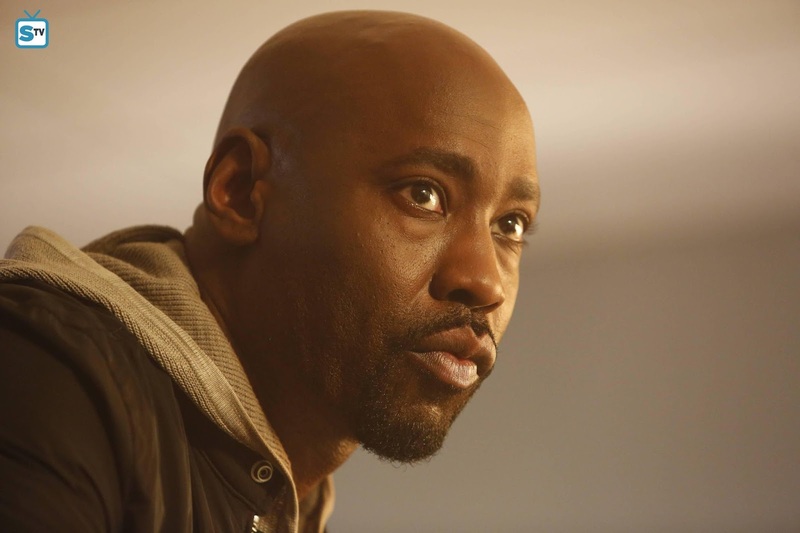 Amenadiel seems to be the most recent target of his Father’s punishment for his actions during last season. While it’s not definitively stated, the fact his wings are drying up and shriveling away would seem to indicate that his Father is not happy with his latest rogue son. Of course, it could be a side effect of the feather Maze used to heal him, but everything seems to be pointing towards a severe punishment. While I feel bad for Amenadiel, because he seems to be trying very hard to make amends for his past actions, this storyline is giving D.B. Woodside some incredible moments to play. He wasn’t in this episode much, but the two scenes he shared with Rachael Harris were phenomenal. When Amenadiel realized what was happening to his wings the look of fear on Woodside’s face made me feel sympathy for Amenadiel that I didn’t think was possible. At his core, Amenadiel is a good angel who made some epic sized bad choices, but he is trying to do good only to find out that this repentance may be a little too late for his Father. After the meeting with Dr. Linda, and the subsequent apology, I was genuinely surprised to see him just flat out fall apart. It was as if some dam broke and everything he’s been fighting so hard to hold in just came boiling out. I hope this storyline doesn’t find an easy resolution because the potential for character growth is massive and only great things can come from this story. Of those potential good things, is more time with Dr. Linda, because Woodside and Harris have great chemistry. In fact, Harris has chemistry with just about everyone. 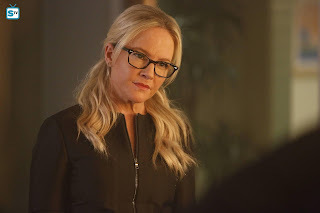 I want to see Dr. Linda get some love interest this season, a kind of love that goes beyond payment for services like with Lucifer last season, but I honestly have no idea who I’m rooting for to fill that spot in Linda’s life. I would love to see Amenadiel and Linda hook up, but then again so do Maze and Linda. This could present a very interesting love triangle of sorts since we already know Maze and Amenadiel have feelings for each other. This potential complicated little group could provide some very interesting moments throughout this season. Even better is the fact that all three performers, Woodside, Harris, and Lesley-Ann Brandt have impeccable chemistry. 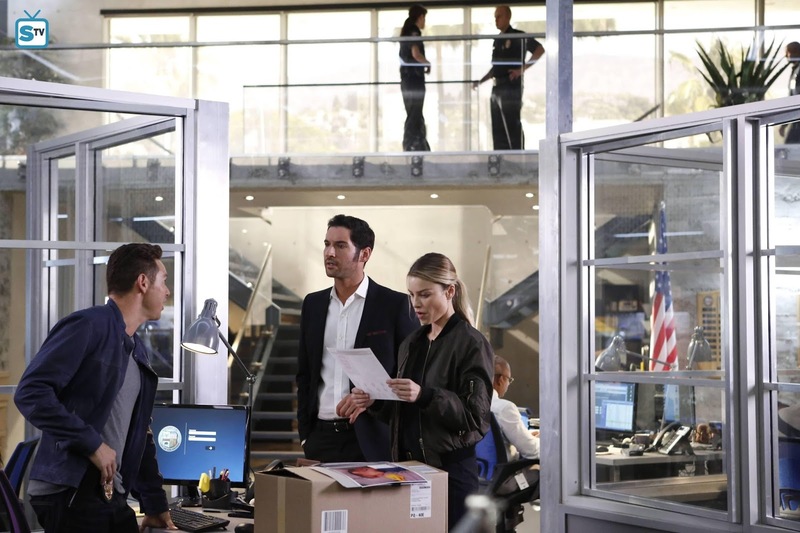 I enjoyed Linda and Lucifer’s little arrangement last season, but to see her get to branch out with one or both of these two has the potential for some very richly dramatic and equally humorous scenes. I am glad that Linda’s scenes with Amenadiel finally cleared up all the lingering issues from last season. Now, they can finally move forward with whatever their relationship will be this season. Whether that will be as just friends or more I for one can’t wait to see them share more scenes. 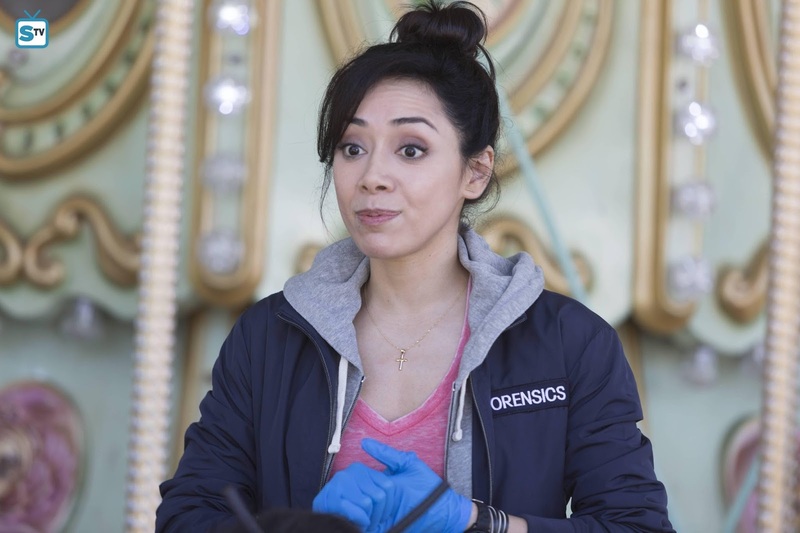 Don’t get me wrong, Lucifer is going to need Dr. Linda more than ever this season with his mom back, but it was fun to have a whole episode where they didn’t interact a single time. It definitely gave the audience a chance to see Linda’s story evolve past Lucifer. Linda isn’t the only one who is evolving away from Lucifer with Maze to starting to try and find her path in life without him. Still, no matter how hard she tries, he keeps pulling her back in. Truthfully I think they both desperately need each other. They clash and have different opinions on things, but at the end of the day, there is no one that they trust more than each other. Even after Maze’s perceived betrayals from last season, they can’t shake each other. When Lucifer’s mom was trying to defend her actions Maze was lightening fast speaking up in defense of Lucifer. No matter her current feelings for him he is still someone she deeply cares about and the fact that his mom hurt him doesn’t sit well with her. Maze is the ultimate best friend who has Lucifer’s back even when she’s mad at him. They keep making excuses to stick around each other making it abundantly clear that no matter how much smack they each talk they are eternally bonded. In the case of this episode, it was the shocking return of Lucifer’s mom who prompted Maze to stick around. And, I for one am extremely grateful that Maze stuck around because the stuff between her and Lucifer’s mom was off the charts. Brandt and Tricia Helfer have an incredible energy together that shone through in their every scene. I hope that the writers saw the incredible chemistry between these two and will keep writing scenes for them. These two characters have a sordid history together which is ripe for some incredible stories. And at the end of the day, they both deeply love Lucifer. The big difference is that the audience knows Maze has Lucifer’s best interests in mind while his mom’s intentions are a little more unclear. Lucifer’s mom seems to genuinely adore her son but is struggling to figure out how to right so many millennia of wrongs. She even went out of her way to figure out how to make macaroni and cheese in an attempt to show her motherly worthy to him. Obviously, she can’t buy her way back into her son’s life through his stomach, but her sob story did at least earn her a reprieve from the deal Lucifer made with his Father. Telling Lucifer that his Father wanted him destroyed was harsh. If it turns out to be the truth then perhaps Lucifer is more like his Father than his mom. Should the writers take this path then that would be an incredibly interesting story to see play out. For the Almighty to go from a heroic being - the creator of humans - to an egomaniac would definitely be a new and highly unexpected twist. I for one would be very interested to see how they would handle that sort of twist to the story. As far as I can discern after watching this scene multiple times is that there is some truth to her story. I also think there was a fair amount of exaggerating as well. The truth of what happened is mixed in there somewhere, but I do not for a second think that the story she told Lucifer was the whole truth. She was trying to weasel her way back into Lucifer’s good graces. You have to give her some credit, it was rather an ingenious path to take to sew doubt so that her son doesn’t know which parent to side with. Lucifer spent so long believing his mom was an evil being that he couldn’t have been all wrong. With that said I also don’t believe she is completely without redemptive qualities. Though, for the sake of her son not having nightmares for the rest of his eternal existence she may want to refrain from stripping naked in front of him again. Even though I loved the way Lucifer reacted in such horror I don’t think he would appreciate being exposed to that again. With all of this to take into account, I think that at her core she is a mom that loves her children, but she has a lot of work to do to be able to earn a place back in their lives. That is going to be kind of tricky given that she is now juggling two sets of children. She has to deal with her own while also now being responsible for Charlotte’s family. I think this is a rather ingenious storytelling point because the writers are taking this character that openly admits to disliking humans multiple times and puts in her custody these young innocent children. I’m sure she’ll be able to draw some comparisons between the young humans and her own children and perhaps this will even encourage her to become a better mom to her own children. I really hope they spend a lot of time fleshing out what Lucifer’s mom is like as Charlotte. On that note, I also hope they don’t drag out revealing her true name for too long. Since we know Charlotte is only her assumed name I was still working off of the feeling that she was either Eve or Lilith, but after a little Google research, I discovered that God may have actually had a wife that was left out of the Bible. Depending on how in depth the writers are willing to go with biblical references Charlotte could be Asherah. I’m not very religious, seriously I can count on a single hand the number of times I’ve been to church, but before this show, I never even heard of the theory that God could have had a wife. That makes me all the more interested to see how the show handles explaining her origins and her relationship with her ex-husband. While Lucifer’s parents obviously struggled to co-parent their children that isn’t a big problem for Chloe and Dan. Though, to be fair, Chloe is still obviously the more dependable of the two of them. She is willing to make the tough calls in order to raise Trixie to be an outstanding young woman. 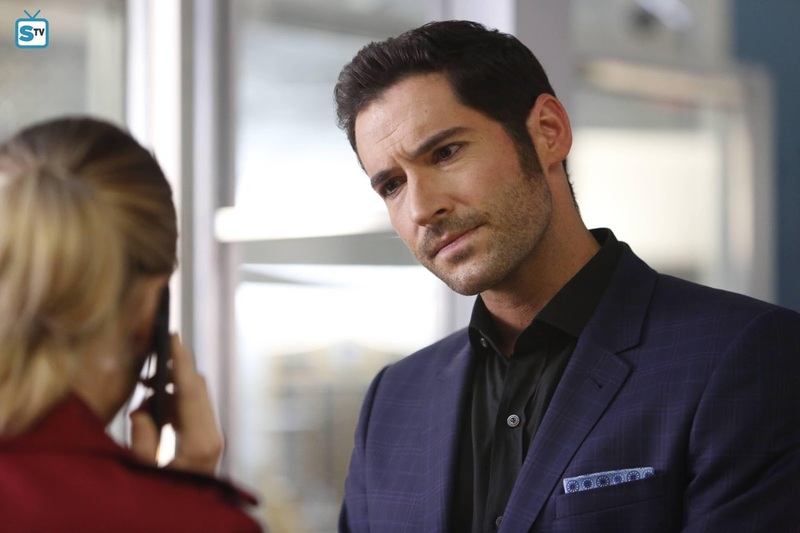 Chloe even tells Lucifer that not all decisions a parent makes will make their children happy. Sometimes parents have to be tough on their children to help them learn an important life lesson. The parallels between Lucifer and his own mom were quite obvious in almost every conversation he and Chloe had in this episode. I loved how the writers brilliantly twisted the story around so that he was projecting all of his true feelings onto Chloe versus his own mom. It was obvious that everything he was telling Chloe was what he was truly feeling about his mom. He feels fundamentally abandoned by her and he doesn’t want to see Trixie feel the same way regarding Chloe. Despite what he says about liking or not liking Trixie it’s evident that he has a growing soft spot for her. He even bucked up the money to buy her the doll she wanted to make sure she has a childhood much different from his own. I have a feeling these parallels will continue throughout the season as he tries to better understand his relationship with his mom. If it allows the writers to find new ways to involve Trixie in the overall story then I’ll be happy with this storytelling path. I’m also really enjoying seeing Chloe get to parent Trixie and how her techniques are different from Dan’s. While I really like that Dan is still in the picture, the fact that Dan is out and free to do whatever still isn’t sitting well with me and I hope that the writers start to drop hints about how he got off so easily. He had to have struck some sort of plea deal to be able to get back to work so fast. The way they are having him hang around on the outskirts of the main story leads me to believe they are working towards something big with him and are trying to keep fans on their toes by not revealing too much yet. At least until his story starts to make big surges forward we get to see Dan being a dad. Surprisingly he’s not that bad at it either. Definitely not a disciplinarian like Chloe, but it’s evident how much Trixie means to him. I’m very curious to see how they evolve him this season. They do need to rapidly move him back into the core of the story to avoid him becoming a secondary character which is a real concern I have given the number of new characters they added this season. I’m not a huge Dan fan, I think he’s a bit shady, but I really like Kevin Alejandro so for his sake I hope they quickly move him back into the action. In the meantime, I’m really enjoying the evolution that they are taking Ella on as well. I was very pleased to see positive fan reaction to her after the season premiere. With new characters, it is sometimes hard to imagine how fans are going to react, but I think the way the writers introduced her allowed her to seamlessly merge into the core cast of characters. She has an innocence about her, but she is also incredibly smart. It makes her a very intriguing character and I think these brilliant writers will be able to do a lot of fun things with her. The interactions she has with both Chloe and Lucifer are something that was missing from last season. For a show that is partly a procedural, it was interesting that they never had a forensics analyst as part of the team. She also has impeccable chemistry with both Lauren German and Tom Ellis. Even though her connection to these two brings her into the core of the story I do want to see the writers start to evolve her story beyond them. Much like Dan, there is a ton of potential and I can’t wait to see where the writers will take her story. This was another fantastic episode that is showing what this show is like when it is at its very best. 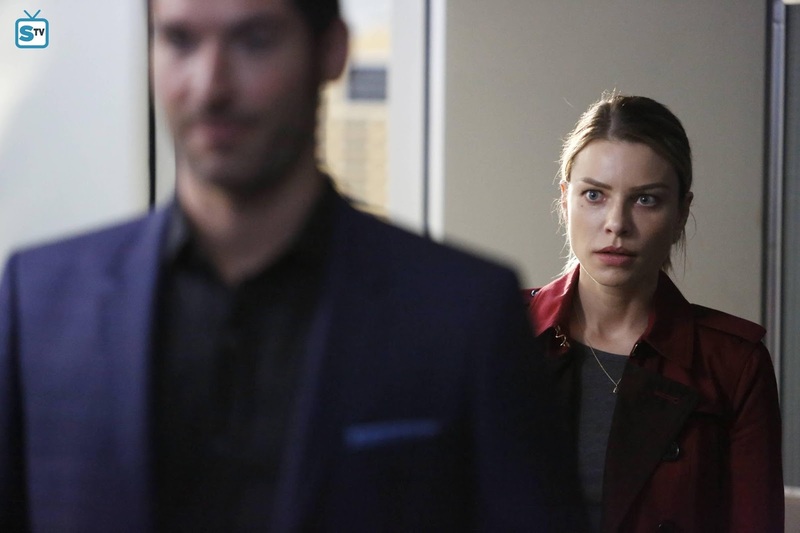 The story was expertly written to set up what will be the ongoing story for Lucifer’s mom this season while also creating a large amount of intrigue around what when wrong in her marriage. Having Lucifer project his mommy issues onto Chloe allowed them to have some great moments together. Chloe is good for Lucifer even though she makes him vulnerable she has done a lot of good for him. The only reason he was willing to even entertain the idea of letting his mom stick around on a temporary basis is because of Chloe. I’m quite curious to see Lucifer’s mom react to Chloe once she gets to know her. She seemed to approve of Chloe’s strength when she apprehended the man that killed Charlotte. Every part of this episode was perfect. This is turning out to be an incredible launch to this new season. 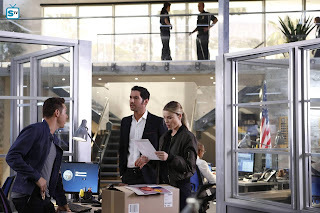 Be sure not to miss the next all new episodes of Lucifer on FOX next Monday, October 10th at 9/8C. Hit the comments with your thoughts about this episode. What did you like the most? Did you enjoy Charlotte’s introduction? 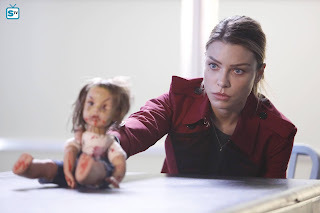 Do you believe her regarding the story she told Lucifer about his Father? Did you enjoy the scenes between Charlotte and Maze? Is Amenadiel’s Father punishing him or is his dying wing problem a side effect of the feather Maze used on him?